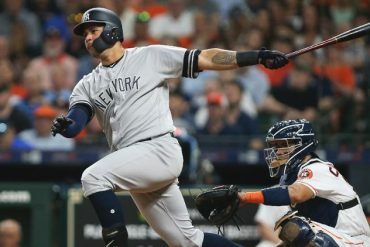 He didn’t go anywhere, but for long stretches of 2018, it felt like Gary Sanchez disappeared. On the surface, it was a brutal year for Sanchez. He hit just .186 with 18 homers, a far cry from his .278/.345/.531 slash line of 2017. Gary never really settled into a groove at the plate, and it showed. Defensively, he also regressed. Sanchez lead the league in passed balls despite playing in only 89 games, missing chunks of time with a recurring groin injury. 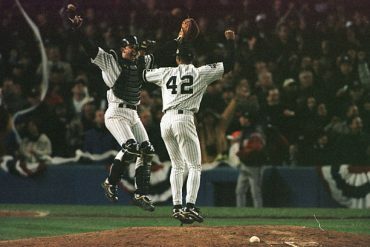 The low point occurred on a July night in Tampa, when Sanchez failed to run out a ground ball that ended up costing the Yankees the game. He was placed on the disabled list the next day. Despite the awful stat line from 2018, a deeper dive suggests that Sanchez really wasn’t that far off. His BABIP (batting average on balls in play) was bottom five in the league, suggesting bad luck. Conversely, his exit velocity on batted balls was in line with his 2017 season. He hit the ball 110 mph or harder on 10 percent of his batted balls, good for sixth best in the big leagues. Defensively, the passed balls were an issue, but his average pop time of 1.94 seconds was 6th in baseball. Gary was making hard contact and making good throws from behind the plate, but the results just weren’t there. 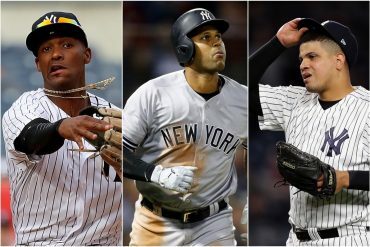 In the playoffs, Sanchez gave fans like me reason for 2019 optimism. 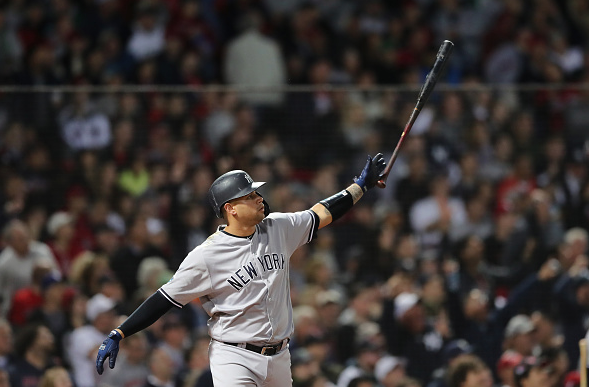 He smashed two homers in Game 2 of the ALDS at Fenway Park, the second one traveling 480 feet. He lead the team in runs batted in during the playoffs and looked locked in for the first time all season. Sanchez underwent surgery on his left shoulder immediately after the season, which signaled that he was playing hurt for most of the year. Although he never admitted it, it’s clear that the shoulder injury affected his blocking ability behind the plate. As he got roasted by sports radio hosts and columnists all summer, it must have been hard to keep that injury to himself. During the offseason, I couldn’t believe how many fans wanted Sanchez traded. It was as if his dominant 2016 and 2017 seasons had been erased from their brains. Then a simple thought occurred to me. Gary did all of his 2016 damage towards the end of the year, after the Yankees had sold at the deadline. I’m sure there were a large portion of fans who are locked in now that weren’t watching those September 2016 games when the team was essentially eliminated. All they had to go on were his great 2017 season and poor 2018 season. The speculation grew so rampant that Brian Cashman had to issue a statement saying that Sanchez would not be traded. “I have been asked about Gary Sanchez. 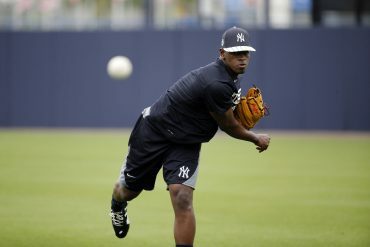 He is not for sale,” Cashman said on December 2. I couldn’t believe that it had come to this, that some of our fans actually thought Austin Romine would be a better option going forward. 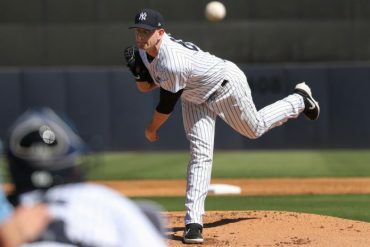 To me, it was pretty much the silliest sports argument I had ever heard, but I was relieved that Cashman was sticking with his guy. 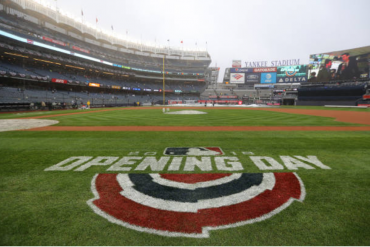 Fast forward to 2019, and Gary is already rewarding Cashman’s faith. Simply put, he is healthy, and he is mashing. Sanchez already has six homers in just eight games, a third of his 2018 total! Overall, he’s slashing .250/.333/.813 to go with zero passed balls. Never was his talent more apparent than on Sunday, when he drilled three no doubt home runs against the Orioles at Camden Yards. As Gary slowly rounded the bases after his third bomb, he was fighting back his classic smirk. Watching on TV, I had no such self control. I was grinning from ear to ear. Gary was back.